The prospects of the year are favorable, especially in the professional life of the Pig natives. They can expect some positive developments even from the beginning of 2019. It is likely to receive more interesting and satisfying work tasks, followed by promotions or transfers. Professionally, the Pig’s year is one of progress. Using their talents and experience, the Pig natives are going to make a good impression, due to which they will make a few steps forward. At the same time, having an ingenious, sharp mind, capable of interesting ideas, the Pig natives are advised to use it. In 2019, the Pig natives could make full use of their two great qualities: the entrepreneurial spirit and the talent for making money. The Pig’s professional progress will lead to a gratifying increase in their income. As usual, they will prove their great skills in solving financial issues. They should be given an advice: if they can, it is recommended to save some money for the future because the money set aside during the Earth Pig Year of 2019 has the potential to become a useful capital in time. The Pig natives are very sensitive and romantic in love. In time, if they are neglected, they might become jealous or possessive. In the lunar year of 2019, the Goat, the Dragon or the Rabbit might be ideal partners for the Pig. Living together with the Rat is not going to be monotonous either. However, the relationship Snake-Pig should be avoided; they are not going to have one second of peace together. Being two compatible Chinese zodiac signs from the first moment, the Pig and the Goat fall in love at first sight. Less favorable aspects of the Pig Year will have an effect on the Pig’s personal life and, in this respect, the natives must show caution. Possible troubles can affect both family and social life. Their capacity for maintaining interpersonal relationships is likely to get challenged during this Chinese year, although, usually, the Pig native is a true master in this regard. Moreover, if the Pig natives want their friendships to be long-lasting, they need to take into account the opinions and feelings of every person in his circle of friends. In conclusion, for the Pig zodiac sign, the Earth Pig Year 2019-2020 is going to be, from many points of view, somehow out of ordinary. While the perspectives for their career and financial situation are favorable, the personal life requires them to take some precautionary measures. The Pig’s native mastery of solving problems is going to be of great help. This is a year when precaution is in order, which doesn’t mean that during this year the Pig natives are not capable to make considerable progress. 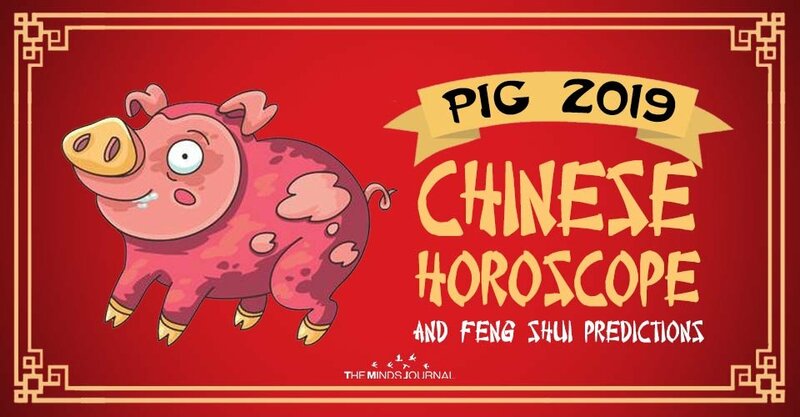 The 2019 Chinese horoscope for Pig doesn’t reveal anything worrisome health-wise. Maybe you are not going to hit the jackpot in terms of career or money, but you have nothing to complain about as far as health is concerned. The Pig natives will enjoy a good state of health from March until the end of 2019. The Pig natives’ level of trust will be high and they will choose a healthy lifestyle.